This wedding at the Weyerhaeuser Estate in Tacoma, Washington featured a custom-designed wedding monogram in an art deco style that matched the wedding decor and the venue itself. The monogram was used in several locations, this one being a large cutout sign that was placed on the fireplace mantle. 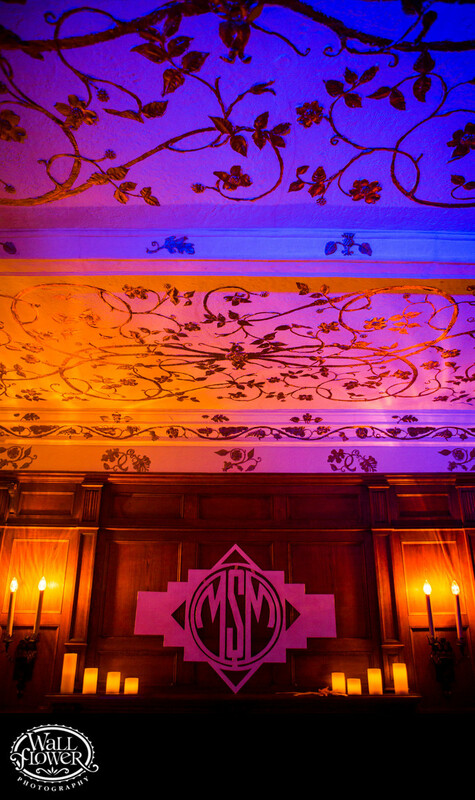 The colors were cast onto the wall and ceiling by lights that the DJ set up for the reception.